There’s a lot of excitement surrounding a move. There is also a lot of potential for headaches. It can be a stressful time to coordinate everything especially if you’re the one in charge of the move. Relax; you’ve got this… especially when you put these also moving hacks to work. A big expense with moving are the boxes that you’ll need to pack up all your stuff. You could make several trips to a moving store for these boxes and they seem to get more expensive with each trip. Instead, start collecting from places like grocery stores and big box warehouse stores. You could even check on the free section of Craigslist. Chances are somebody has just gone through move and would love to get rid of all their boxes. On the day you give your notice to move is the same day you should plot out a schedule. Make a list of all the bills that come into your home. Each one of those is going to need a phone call or visit to the website to update your address. You also need to schedule switching utilities and setting up cable and Internet. Those calls should go out right away so that you can have everything wired on the day you move in. You should book your movers on the first week that you give notice. They should come to your home and provide you with a free estimate. Otherwise, they’ll ask you to provide an estimate of what you’re moving. That never seems to add up. 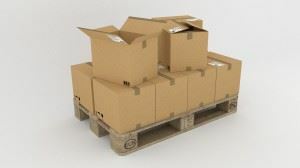 If you start packing in that first week, then you’ll actually get a good sense of just how many boxes you’ll be moving. It also reduces the stress to do a little bit every day so that you’re not overwhelmed in that last week. Before you unplug your television sound system, snap a picture. This can help you reconfigure the system when you get to your new place. You could also label each wire with a piece of tape that you can write on. Make sure all your remotes and cables go into one separate box that is clearly labeled. Along with the professional movers that you’ll be hiring to get your stuff to the new place, you should also hire professional haulers to get rid of your unwanted rubbish. That’s where Junk King Orlando can be a big help. This is a company that has been hauling away rubbish for over 10 years. They know how to do this type of project very fast and efficiently. They are also very convenient to schedule which is important, as you get ready to move. Once you’ve picked out all your unwanted rubbish set up an appointment with Junk King Orlando and watch how fast it can disappear. This entry was posted in Orlando Junk Removal and tagged clutter, junk King Orlando, moving, rubbish on June 27, 2017 by Junk King. Last updated June 27, 2017 .